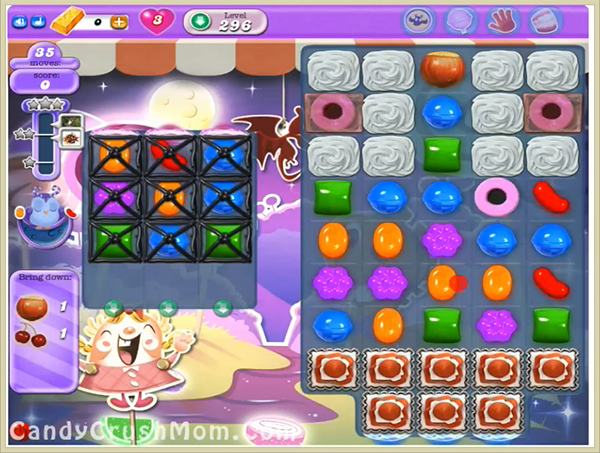 This level have normal difficulty and you need to use few special candy to complete this level. For this level you need to use striped candy or striped candy with wrapped candy to break grill boxes so ingredients wont struck on it. Try not to use colorbomb with striped candy or other special combo as it could unbalance the Odus owl. We completed this level with 77280 score using same special combo with balancing the Odus owl and got just two star score but luckily passed this level.